Perhaps you heard today that Ken Levine and Irrational's much-hyped, ambitious Bioshock Infinite has been delayed until 2013. Why was it delayed? Was it because it's a really ambitious-looking game that needs more time to be completed? Was it because they decided to add multiplayer? Or was it because the game is actually a flaming train-wreck that has been limping along for years, losing team members like they're going out of style while careening towards the release of a lackluster product that will disappoint the entire world? 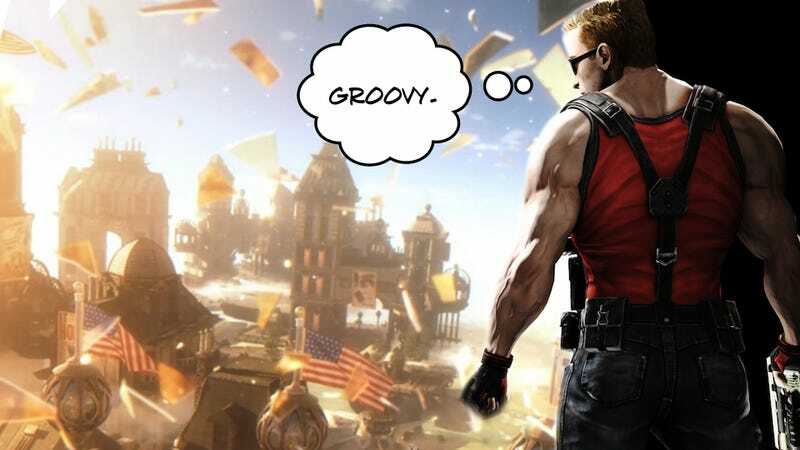 In other words, has Bioshock Infinite become… Duke Nukem Forever? That may seem unlikely, but people certainly had no trouble running to twitter to make the comparison. Partly because, as you may have noticed, the games' two names have something in common. I like that that one came from a twitter-user named "When it's done."